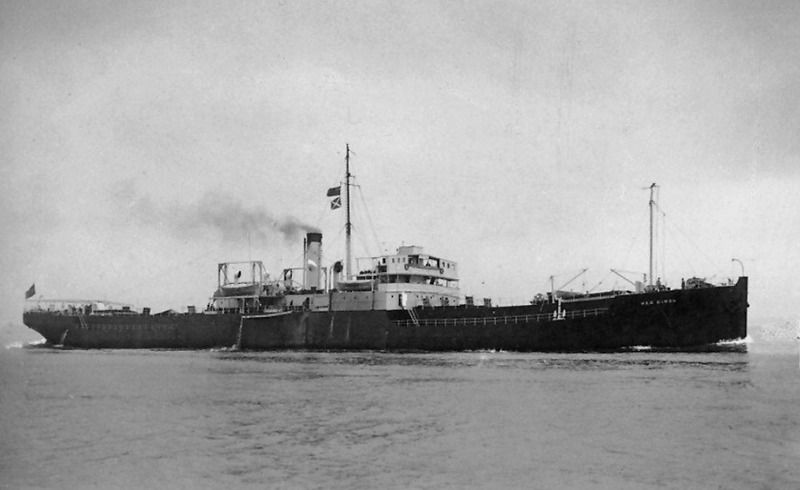 Steel twin screw turbine ship, built and engined by Denny’s of Dumbarton (Yard No 1165) for the Southern Railway’s Southampton-St. Malo service in 1924. Engines: 4 Denny steam turbines single reduction gearing, in two independent sets, each driving one screw. June 2nd 1924: Launched. 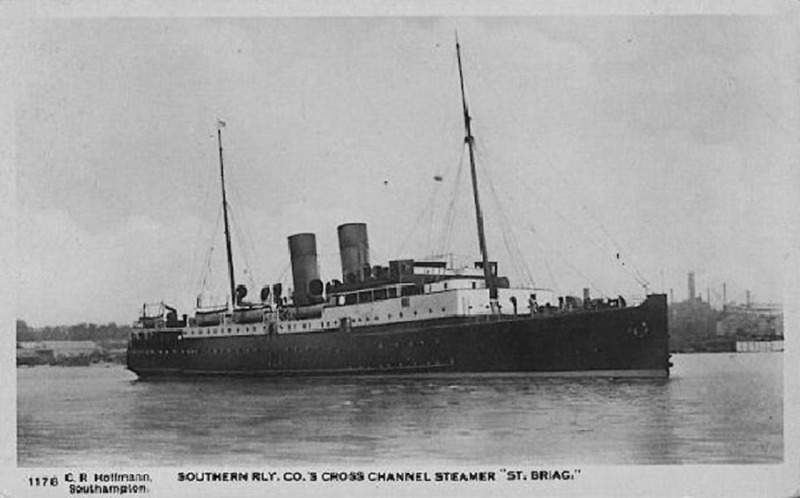 She was the second of two ships ordered by Southern Railway’s and it was rumoured that she was to be named PARAME, after the tourist resort next to St Malo, but she was launched as ST BRIAC. September 3rd 1924: Trials (19.6 knots). September 11th 1924: Delivered to Southern Railways, Co, Southampton. England. September 10th 1924: Arrived at Southampton. 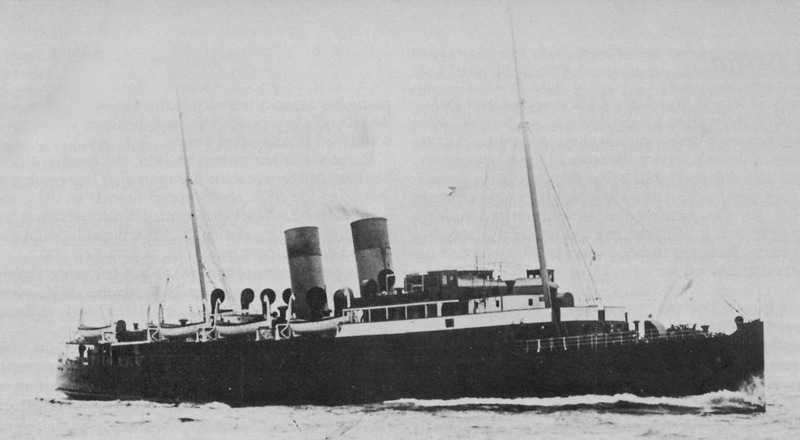 October 3rd 1924: Maiden voyage between Southampton – Le Havre. She was the running mate of the DINARD on the St Malo service, but spent much of her time in the winter on the Le Havre route. 1930-31 (winter): Second class accommodation was improved and, at the same time, the open rails round the poop deck were plated in. June 1932: Began to operate cruises during the summer months, taking in the French ports of Le Havre, Rouen, Cherbourg and St Malo, and also calling in at Jersey and Guernsey. Swimming pool added aft. The ship remained with the S.R. when war broke out in 1939 and worked the Le Havre route. 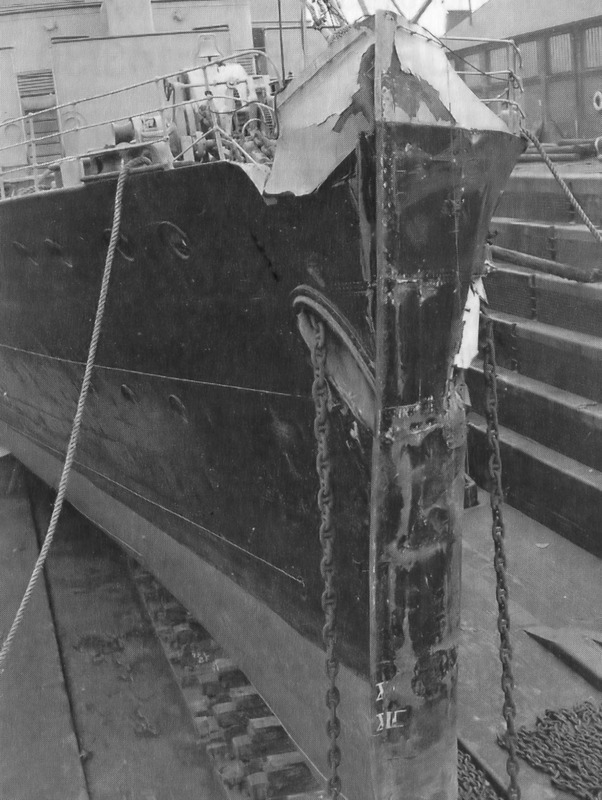 March 13th 1940: In collision with the SOMERSETSHIRE and sustained bow damage which took nearly two months to repair. May 18th /19th 1940: She had just returned to service when the route was closed with the last round voyage being made. 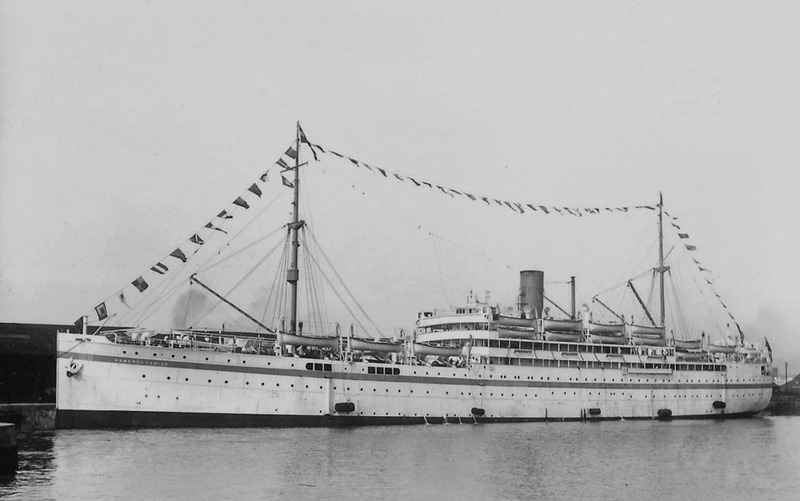 1940: Operated the service from St Malo until May 27th. June 2nd 1940: French servicemen, who had been evacuated from Dunkirk, were returned in early June. The vessel left Southampton for Brest, then embarked French troops at Weymouth. June 5th 1940: Crossed to Cherbourg. June 12th 1940: Carried 1,150 British soldiers from Le Havre to Cherbourg. June 16th 1940: Crossed from St Malo to Southampton carrying 2,097 troops. June 18th 1940: At the end of her final evacuation mission sailed from Cherbourg to Southampton. June 19th 1940: Sailed from Southampton to Milford Have, where she was to be available at short notice to transport a Royal Marines brigade, at the time when a need to send troops to Ireland was likely. June 20th 1940: While at Milford Haven had her port Hawse pipe damaged in collision with the tanker WAR HINDOO. July 8th 1940: Moved to Avonmouth, with the possibility that the ships might be chartered to GWR for their Fishguard – Rosslare service.. This was not implemented. October 29th 1940: Arrived back at Southampton for lay up. December 1940: While at Southampton sustained slight damage during an air raid on the port. May 31st 1941: Requisitioned again for fitting out at Southampton as a Fleet Air Arm Target Vessel. 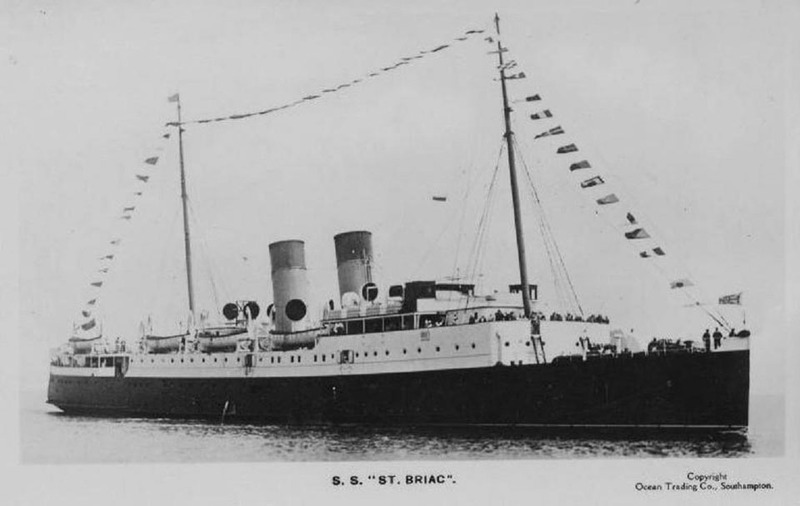 August 15th 1941: Commissioned as HMS BRIAC. August 29th 1941: Left Southampton. September 3rd 1941: Arrived at Aberdeen. She was assigned to operate within a n area 50 miles east and 20 miles north and south of the Royal Naval Air Station at Arbroath, as a reconnaissance target for student observers’ navigational exercises. February (mid) 1942: For five half days in a weekly training programme aircraft were on a search exercise and, two half days, the object was to shadow the ship. March 12th 1942: Getting into the required position 50 miles due east of Arbroath, in preparation for the afternoon search exercise, but her officers were unaware that the course they had chosen took the ship through a recently closed gap in the British East Coast Mine Barrier. Struck a mine and sank.